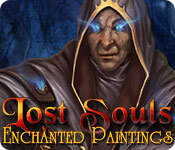 Lost Souls: Enchanted Paintings is rated 4.2 out of 5 by 78. Rated 5 out of 5 by Squidipuss from Fun, not scary Exactly the right level of challenge: just enough difficulty to be interesting, but not so much that the gave was frustrating. Each painting, or scene, was a self-contained quest, which I liked because it kept the back-&-forth hunting for items to a manageable level. 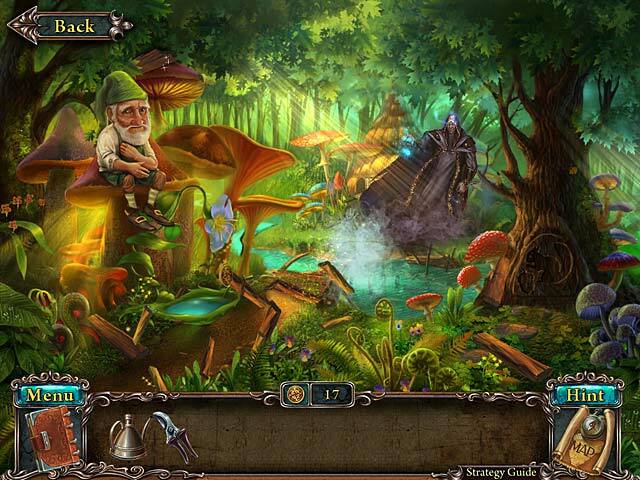 Graphics were beautiful, though the hidden objects themselves repeated from painting to painting. For example, there was an hourglass and a pair of binoculars in almost every scene. I normally don't read the story, but I did with this one and enjoyed it. I found it interesting that the title and beginning implied that this would be a dark, dire story, but in fact it wasn't. There were a few things that bothered me, but they were minor. Did the pirate really need to be Captain Jack? I enjoyed looking for the coins in each scene, but I didn't really get the point of using them to buy the trophies. Overall a fun game and one I'll play again. Rated 5 out of 5 by Skeride from A beautiful, relaxing, satisfying game for all ages Despite its age, this is one of the most beautiful games I've played, and it has full widescreen support. 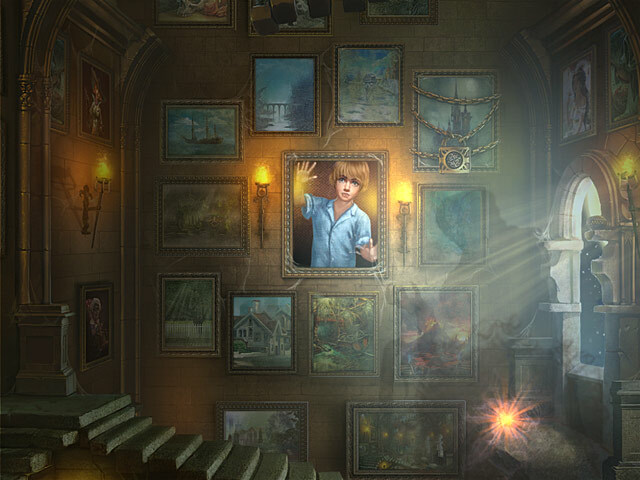 There's only a token nod toward a story, and it serves only as an excuse for a level-based light puzzle and hidden object game. For an adult who has played at least one HOG before, there is no challenge to speak of. 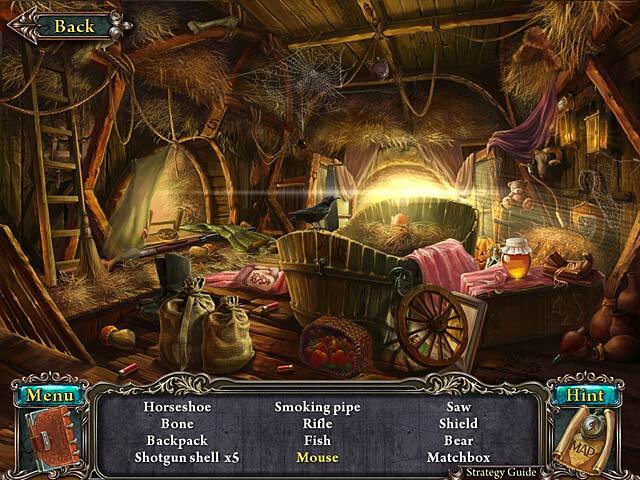 The HOG are slightly interactive and all are done twice: once as list-based with yellow words requiring an extra action to find, and once where you have to find the objects shown in full (not just silhouette). The standard puzzles are all here: sliding, untangling, etc. They're well implemented, but easier than in most HOG. Despite the almost non-existent challenge and story, the game is a joy to play, and suitable for all ages. The artwork is superb, the music is relaxing, and solving quest steps is incredibly satisfying in the same way that matching gems in a good Match-3 is. If you're looking for a game to play with your children, or want a relaxing way to unwind after a stressful day, definitely pick this up. Rated 5 out of 5 by marlena362438 from a good relaxing game if you like new age music and want a fun non-frustrating game then this one is for you. Unlike most of the reviewers, I loved the music. buy this one you'll love it taking it easy for a change. Rated 5 out of 5 by BirdLover89 from Relaxing This little HO game was so delightful and fun. Beautiful scenery and NO ghosts, witches, etc. It was easy but still you had to think, so it was not boring. I was sorry for it to end; it was too short in my opinion. I liked the puzzles which were fun and no pipes to connect or other aggravating puzzles. I loved having to put pictures together. This would be a good kids' game but also good for us adults who want a good relaxing way to spend a few hours. Recommend highly. Rated 5 out of 5 by Wandakal1 from Easy to get around. Good graphics & Hos, puzzles could be a bit more challenging for my taste. I usually have to get CE's and use the guide, or lookup the walkthroughs, but this one was easier to get around without a lot of help. Rated 5 out of 5 by Ancientsymbols from Loved it! Great Fun! Wonderful scenes and graphics are fab! Rated 5 out of 5 by mtymte from Delightful Fun, colorful game. Fairly easy. Not too much guesswork and backtracking. It lets you know when an area is complete. I really like that feature. Great game for unwinding. Rated 5 out of 5 by gungho from EXCELLENT GAME I don't usually read the captions too close but did on this one.The graphgics on this one are beautiful..I like the ears on the lil people.Hidden objects some of them are well blended in.Story line you could follow this one pretty well.I had a lot of fun playing this one.I'm going to play it again very soon.I'm glad i purchased Lost Soul Enchanted Paintings. Rated 5 out of 5 by denniann2 from i really liked this game!!! you are looking for your son and have to put a canvas back together to get him back so you have different worlds to go into through the paintings and solve puzzles and find objects to get pieces of the original portrait back. the hints and skip charge fast and you don't need a strategy guide or anything. i really liked this game. more like it please!!!!! sometimes i just want a game i don't have to think too hard about and this one is it!!! it does have a diary/journal and a map for the different worlds you are in that transport you between the scenes in each world. Rated 5 out of 5 by GingerNutGirl from Absolutely brilliant game! I bought the CE edition of this game and the only bad thing I have to say about it, it's not worth paying the CE price as the only bonus is screensavers and something called 'Free Mode', no extra chapter as I originally thought. The great things about this game is that it's wonderfully done, inventive mini-puzzles that make you think #puzzles, untangle strings to name a couple# and great storyline. I consider myself a seasoned gamer and I still got stuck a few times but not enough to get frustrated! Definitely worth the play - and I've played it quite a few times.